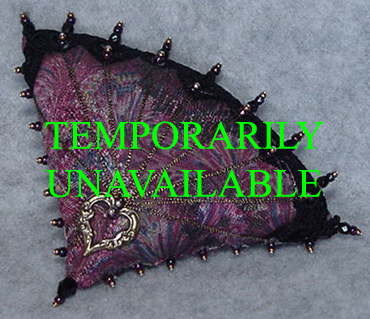 Another popular kit, the fan includes a shimmering fabric, matched with gold threadwork and black lace. A heart charm and czech cut black beads are provided in addition to the gold and plum seed beads. Very reminiscent of the Victorian era.